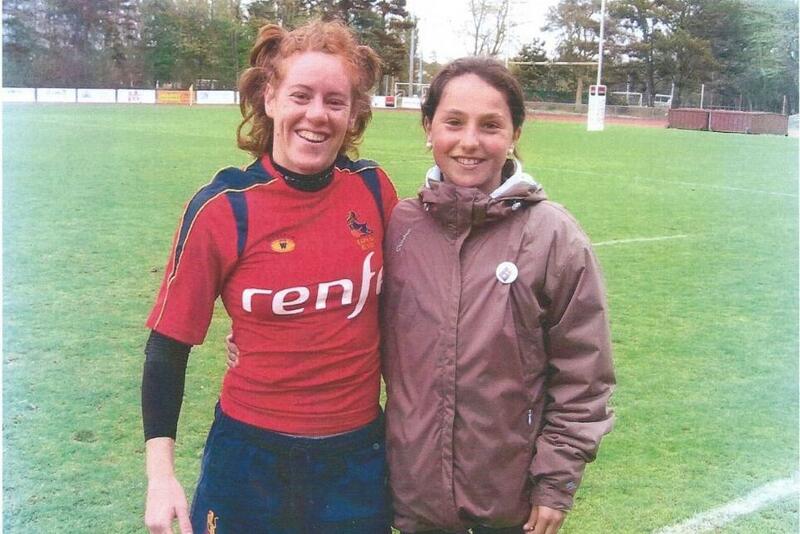 Lide and Amaia Erbina will again don the Spanish jersey together on the HSBC World Rugby Women's Sevens Series 2019 in Dubai on Thursday and Friday, a scenario that had seemed unlikely until one was inspired to give rugby another try after seeing her elder sister playing at Rio 2016. Early on Thursday morning, in a house in the Goierri region of northern Spain, a sofa will be pulled into a kitchen where the family TV will be connected to a computer so that two proud parents can watch their daughters play at the Emirates Airline Dubai Rugby Sevens. It is a tradition in the Erbina household that first started when eldest daughter Amaia was called up to the Spain squad for the HSBC World Rugby Women’s Sevens Series in 2015. “Their whole weekend will be watching sevens,” she revealed. Until last month Mr and Mrs Erbina would have been joined on the couch by Amaia’s younger sister Lide (main picture). However, this season the siblings have both been selected in the Spanish squad. Lide, 17, made her series debut in Glendale, Colorado, in October and provided an instant impact, scoring a hat-trick to help her side to a 46-0 Challenge Trophy semi-final win over Mexico. The sisters then stole the show in the final, Amaia wracking up three tries before Lide rounded off a 20-14 defeat of Fiji with her fifth of the tournament. Of her parents’ reaction some 5,000 miles away in northern Spain, she added: “I think they have had a party at home. Amaia describes her parents as “rugby addicts”, who met because her father played the sport with her mother’s brother. 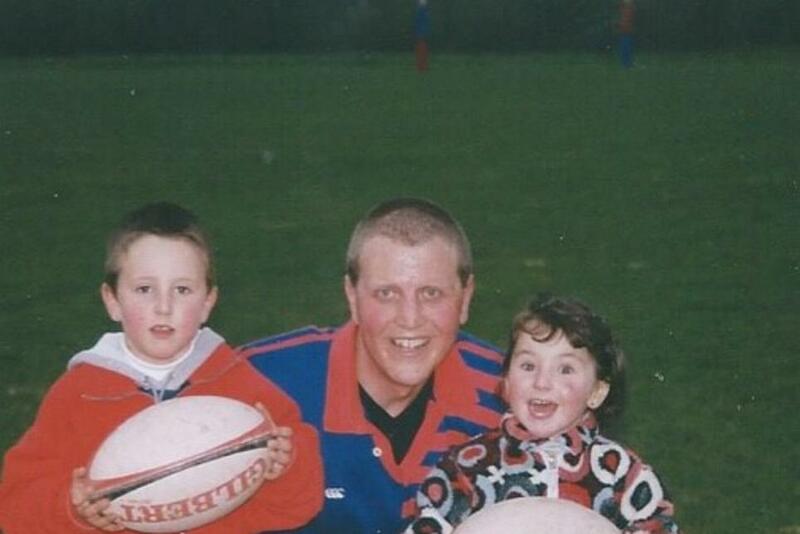 It is no surprise therefore that, as children, trips to the park for Amaia, Lide and their brother Beñat (pictured above with their father) invariably involved a rugby ball. It was when she made the move into women’s rugby that her father urged her to focus on her passion with an Olympic Games in Rio on the horizon. “When I was 16, my dad sad to me ‘Now you’ve started playing with women, you’ll have to prepare yourself because you might go to Rio’. 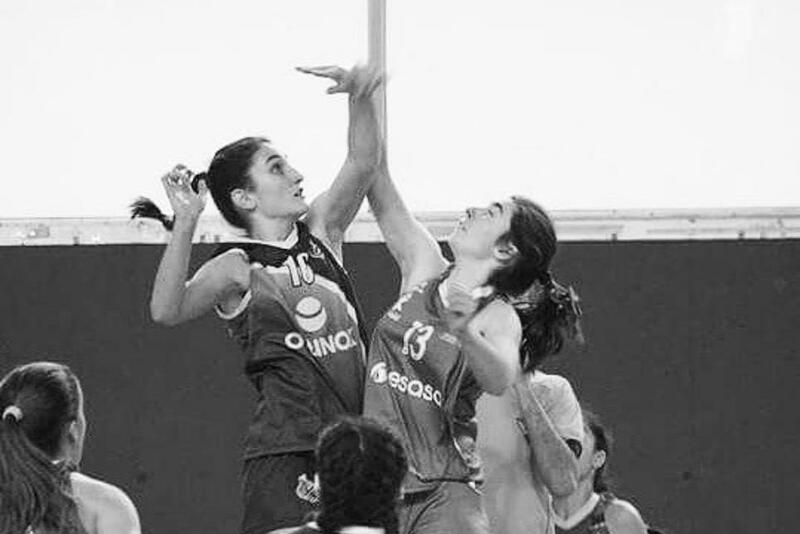 Amaia’s hard work and dedication paid off because only two years after playing for Spain in the Youth Olympic Games in the Chinese city of Nanjing, she was selected to represent Spain at the Rio 2016 Olympic Games, aged just 19. Ironically playing alongside Barbara Pla, a player she had asked for a photograph with nearly a decade earlier (see left). “So, I looked it up and my name was there. My sister and mum were next to me at the time and we all started crying. Amaia says her call-up gave her the confidence that she could improve on the rugby pitch, and her inclusion in the squad also had a profound effect on her younger sister. Lide had also been introduced to rugby at five years old, but she did not warm to playing the sport like her older sister or father had. Instead she played basketball and ran the 100 metre hurdles. Their parents were convinced that both would make it to the Olympics one day, just not in the same sport. But watching Amaia perform at the Deodoro Stadium and on the Women’s Sevens Series registered with Lide. 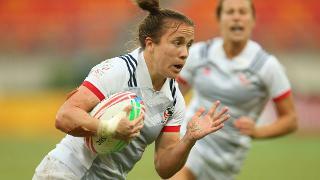 “I was amazed by rugby sevens because, for me, it was like a combination of (15s) rugby and athletics,” Lide said. Lide’s size and athleticism has given her an edge in the shorter format and just a few years after returning to the oval ball she has earned her place in coach Pedro de Matias’ squad. “When I used to go and see her play with my parents I was always seen as Amaia’s little sister,” she said. “They’d say, ‘Oh, how cute’. “Then, two or three years ago, I went to the qualifier in Dublin and all her team-mates were telling me that I should play because I am so big. Amaia added: “Physically she is much bigger than me, I am like the little girl in the family, and she is very, very strong. De Matias has apparently welcomed the competitive nature having two sisters on his squad has brought. “When I say something to my sister in training and she screams at me, our coach, Pedro, says, ‘I like that, I like the sisters fighting’,” Lide explained. But behind the “screaming” is a very real ambition: To qualify for the Tokyo 2020 Olympic Games in Japan. “We dream about it every day and mention it at every training camp,” admitted Amaia. “For me it would be amazing. One) to qualify Spain for the Olympics and two) to go there with my sister.